PhotoModeler Scanner provides the tools for you to create accurate, high quality 3D models and measurements from photographs. PhotoModeler Scanner provides the tools for you to create accurate, high quality 3D models and measurements from photographs. The process is called photo-based 3d scanning. Driver Scanner will scan and display all of the information on every single piece of hardware of your computer, including network adapters, processors, sound, video, game controllers, disk drives, display adapters and USB controllers. Adware Spyware Scanner Deleter can scan Windows system hardware memory registry, delete remove kill spyware and adware. .
Hardware Organizer Deluxe is a complete program that allows computer owners, small offices, and hardware dealers to organize, catalog, and manage their hardware on their PCs. Organize computer hardware assets with 18 different fields. Simple interface makes it easy to browse, sort, and print out information on each asset. Other features include custom reports, labels, searching, custom fields, and more. Paper documents can be scanned on a document scanner and sent to specific locations in SharePoint for storage and ongoing document lifecycle management. 30 day SDK trial includes library, C/C++ programming samples, scanner drivers for Linux. Integration into ARM-based devices with ARM Linux or Windows Mobile. Constant internet connection required. Ready-to-use hardware device in Device EDK included. Free Spyware and Adware Detection & Removal Software. Spyware Scanner detects and remove a multitude of spyware, adware, Trojan horses, keyloggers, and trackware components, sources of irritation that many antivirus products do not deal with. A free multithreaded IP, SNMP and NetBIOS scanner. 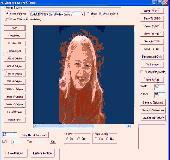 Both system administrators and general users can use this software. It pings computers, scans for listening TCP ports and displays which types of resources are shared on a network (including system and hidden). Bazooka Adware and Spyware Scanner detects a multitude of spyware, adware, foistware, trojan, keylogger and trackware components; sources of irritation that antivirus software does not deal with. Using Maui Security Scanner, web-site admins and IT-professionals can see whether their web site(s) are gotable or vulnerable to attacks. Identifying vulnerabilities such as SQL Injection and Cross-Site Scripting (XSS).